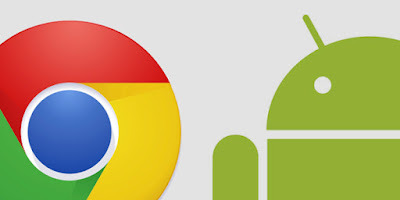 Home / Android / Chrome / OS / Google quashed reports about it merging Chrome OS into Android. Google quashed reports about it merging Chrome OS into Android. Google has quashed reports about it merging Chrome OS into Android. While multiple reports said that the company is done with its Chrome OS, Android and Chrome OS SVP Hiroshi Lockheimer said on Twitter that Chromebooks have been gaining momentum, and the company remains very committed to Chrome OS. The Wall Street Journal had first reported that Google is going to merge Android and Chrome OS, since “the different computing approaches embodied by Android and Chrome are no longer relevant to Google”. The Wall Street Journal’s report was followed by two others from The Verge and Recode. The Verge quoted a Google spokesperson, who said that Chrome OS wasn’t being killed by the company, and Lockheimer’s Twitter statement came after that. So, it seems Chromebooks will continue in the near future. That said, the possibility of Chrome OS being merged with Android OS seemed even more possible since Google launched the Pixel C all-in-one tablet this year. The device aims at functioning both as a tablet and laptop, but didn’t run on Google’s desktop OS, instead opting for Android. The Pixel C was announced alongside the new Nexus phones and Chromecast devices. In addition, rumours of a merger between the two operating systems have been persistent for quite a few years now, though Google has always maintained that it takes Chrome OS very seriously. The company had earlier added support for Android apps to run on Chrome OS, but the desktop operating system still doesn’t have enough apps. Merging the two would allow Google to run just one OS, Android, which could then get added functionalities for the desktop platform. In addition, it would also allow Google to bring features similar to what Microsoft showcased recently. Currently, Google’s mobile OS and desktop OS are separate, which means that you can’t simply plug in your phone to a monitor and expect to use it like a desktop.